← Today’s art: a Totoro Thank You! 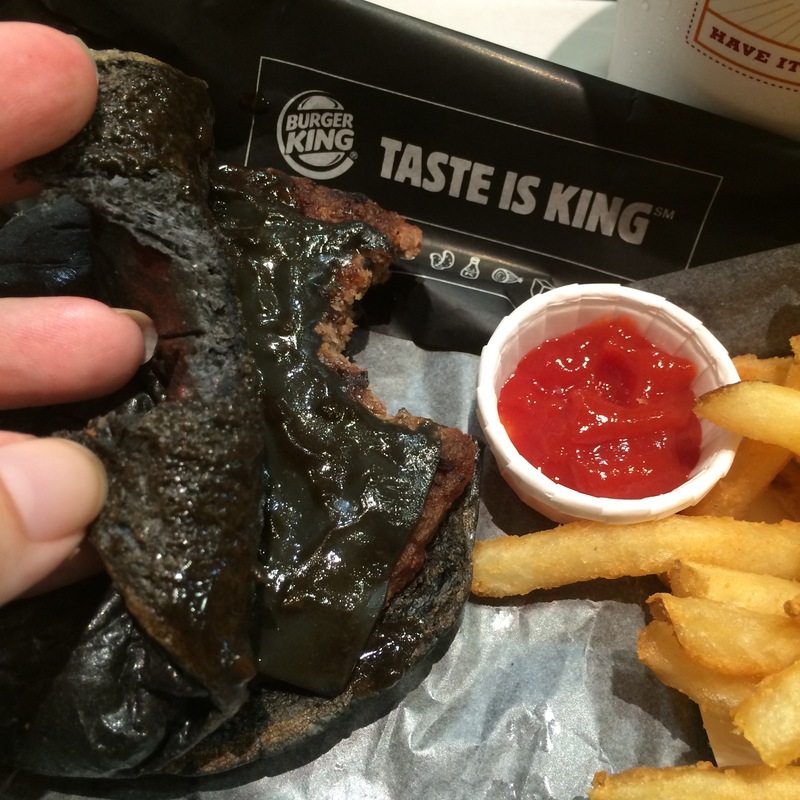 I went to Tokyo to try the new Black Cheeseburger at Burger King! It’s made with charcoal and squid ink, and is pretty much the most goth food I’ve ever eaten. Or maybe it’s super heavy metal. What do you think? Would you try it? This entry was posted in Food!, Japan and tagged bk, black, black burger, black cheeseburger, black diamond, black pearl, burger king, diamond, goth, Japan, kuro burger, life in Japan, metal, only in Japan, pearl, Tokyo, travel. Bookmark the permalink. Reminds me of a slightly more “natural” version of the blue and purple ketchup from the late ’90s–tastes fine, doesn’t look like food. Thanks for posting this!